Purchase First-Aid, Preparedness, and Training Materials from the Red Cross Store. Map showing how the NWS has divided Chester County into East and West sections for providing weather information. This is the website for AGREM, Incorporated, also known as Avon Grove Regional Emergency Management. We are an emergency management organization located in Chester County, Pennsylvania providing support for the boroughs of Avondale and West Grove, and the nearby townships of London Grove, Penn, New London, Franklin, and London Britain. NOTE: As of January 31st, 2019, London Grove Township ended its nearly 20 year relationship with the AGREM Organization. While we sincerely regret their decision, we will honor and respect their right to have made that choice. We appreciate the years of service their previous Emergency Manager and Deputy have given to the AGREM Organization and to our local community. We will continue our mission with the support of the remaining AGREM municipalities. Residents of London Grove Township will continue to hear the AGREM 1670 signal, but any messages specifically for LGT will no longer be part of our ongoing broadcasts. We encourage you to review our site to learn more about our organization, and what we do for the area we cover. If you have any questions, or would like to volunteer, or even just attend a meeting or two to see what we're all about, we encourage you to do so. Our site is also about informing you, the public, about emergency management and both personal and business preparedness for disasters, be they natural or man-made. Given the importance of weather, we have placed critical information and graphics related to weather on our homepage to provide you with quick access to this information. 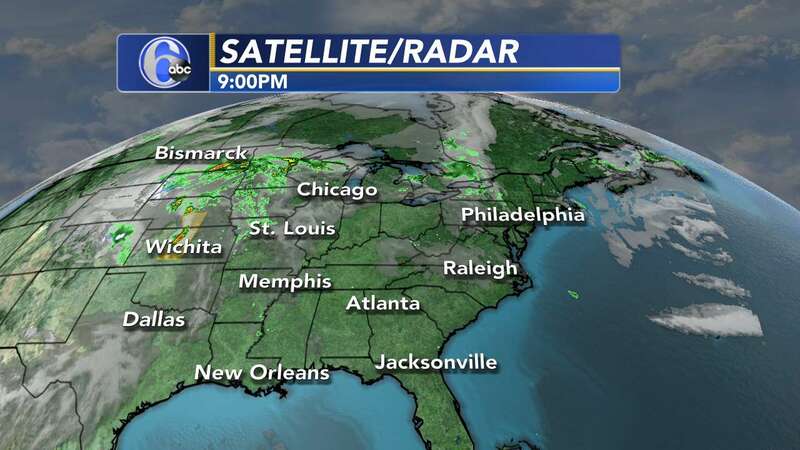 Our weather page has additional information, so we encourage you to visit it as well. We are a non-profit organization, and our website is frequently changed or updated by volunteers. We apologize for any inconvenience this may cause for our visitors, as we strive to provide the most recent information available to you. Check your emergency preparedness kits. Remove outdated supplies and Replenish your kit. If your smoke detectors were installed on or before April 2009, you should replace them with new units. Purchase units with dual detectors (ionization and photoelectric) and install 10 year batteries. Check your smoke detector regularly. Unless you have 10 year batteries, replace the batteries at least once every year. Are you prepared for the severe cold? Winter Storm Handout, Winter Storm Safety. If you have to be outdoors... During the severe cold, you need to take precautions to prevent frostbite or hypothermia. Dress warmly and stay dry; wear hats, gloves or mittens and several layers of clothing. Do not ignore shivering. It is an important first sign that the body is losing heat. Confusion and drowsiness are signs of hypothermia; seek medical attention immediately. Frostbite causes a loss of feeling and color to the affected skin area. The first signs of frostbite are redness or pain; seek medical attention immediately. Shoveling Snow: Remember that shoveling snow is more stressful on your heart. Take smaller amounts of snow with your shovel and take frequent breaks. Know the warning signs of a heart attack, and STOP if you experience any of them and call 9-1-1. If you know of someone who may be unable to clear their walk or driveway, please offer to help them if you can. Get a group together to do the work -- it's faster and easier with many hands! Check on your Neighbors: If you have elderly neighbors, or neighbors with special needs, check on them regularly especially if there is an extended power outage or severe cold weather. Portable heaters: If you need to use portable heaters for any reason, please remember to keep them away from curtains, furniture, blankets, and other items that could catch on fire if overheated. Do not use extension cords to connect an eletric heater. If you have an indoor kerosene heater, make sure to allow it to cool down before refilling it OUTSIDE. Never refill a hot heater. Never use a stove or oven to heat your home, or use open flames to thaw frozen pipes. Both of these actions can cause a house fire. 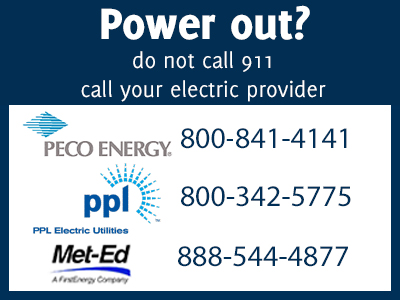 Power Outages: We have the phone numbers for the primary utility companies servicing the Avon Grove area posted on our website (see the sidebar). Write them down next to your home phone or place them on a note on your refrigerator. You should program them into your cell phone to make them easier to locate if necessary. If your utility company offers automatic alerts for outages, make sure you sign up if you have a device capable of receiving those alerts. Generators: If you need to use a generator, make sure you put it in a location OUTDOORS and AWAY from doors and windows. A generator will create carbon monoxide which will kill you if it accumulates -- It is both odorless and colorless so you won't know there is a problem unless you have CO Detectors in the key living areas in your home. If you or a family member experience confusion, headaches, dizziness, weakness, nausea, vomiting, and chest pain, move IMMEDIATELY to FRESH AIR, open doors/windows, Call 9-1-1. NEVER run a generator indoors for any reason. It is meant to be run outdoors only! Run generators periodically, rather than constantly. This saves on fuel and allows cool-down time so you can refill fuel tanks more safely. Refrigerators and freezers will hold their temperatures if doors are kept closed and only opened when absolutely necessary. Be safe during cold weather! There may be a temptation to use other heat sources to heat your home. Only use sources that are meant for indoor use and be certain to check devices such as space heaters for frayed or damaged power cords. Also make sure the circuits they are plugged into are not overloaded. It is better, and safer, to layer on additional clothing or blankets rather than using a potentially unsafe device. DO NOT use candles, propane grills or portable stoves, or your kitchen stove as an alternate heat source. Besides not being designed for this purpose, they can easy cause a fire or generate deadly carbon monoxide -- an odorless, colorless gas that can render you unconscious and kill you. During prolonged cold periods, check frequently on anyone who may be more impacted by the weather, such as those with special needs, or older family members, friends, and neighbors. For additional information review the Winter Safety Tips from the Ready.Gov website. Community Emergency Response Team (CERT) training is designed to prepare individuals to help themselves and others in the event of a catastrophic disaster. Due to emergency services personnel not being able to help everyone immediately, CERT members can make a difference in their neighborhood and in our community by using their CERT training to save lives and protect property. The registration deadline is Friday, March 29, 2019 unless the class fills early. Class size is limited to 30 participants. Listen to AM 1670 on your smartphone, tablet, and computer; in your car, or on a portable emergency radio. Emergency as well as other community information for Avon Grove and the surrounding areas is broadcast 24x7. AGREM 1670 is also interrupted automatically whenever the National Weather Service issues an alert for our area as well. Chester County now offers a free service available to keep you and your family safer. Smart911 lets you create a private and secure safety profile for your family, including any information you want 9-1-1 to have during an emergency. You should also know that your SMART-911 profile is available while you are travelling or visiting in other states and areas that also support the SMART 911 system. 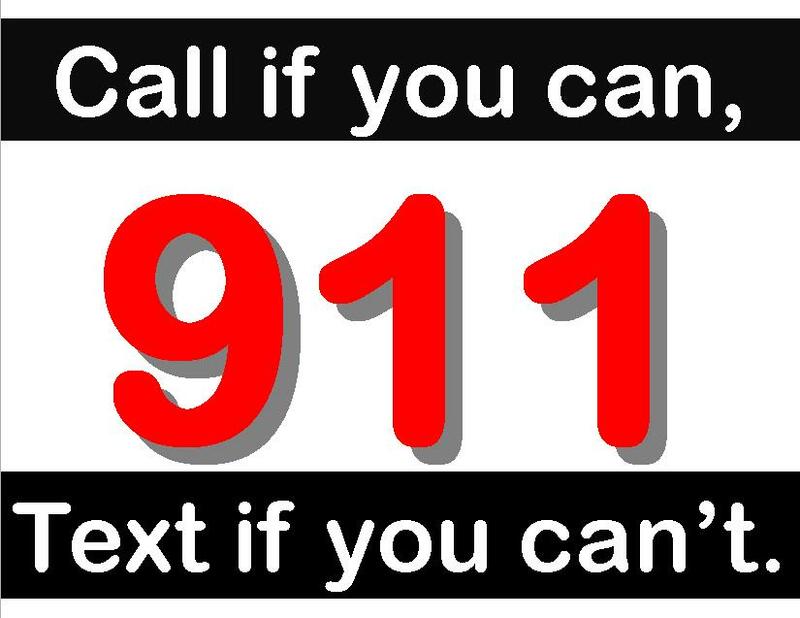 You can click this link: Smart-911 Frequently-Asked-Questions for additional information. Are you Ready? Is your family Ready? 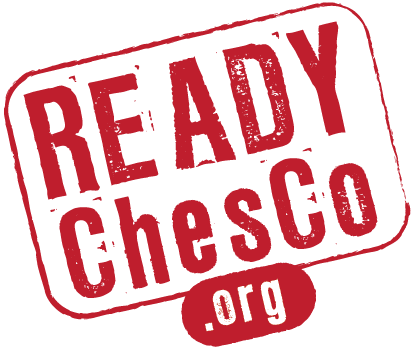 Have you signed up for ReadyCheso yet? You can register to receive all types of important messages from the Chester County Department of Emergency Services as well as your local municipality's Emergency manager through this system . You can choose how you want to be notified -- text, email, voice -- and the order the system uses to reach you. You can select additional message content (such as weather alerts) that you would like to receive. For more information and to register, visit the following website: READYChesCo.org.